This paper presents an axiomatic model for merging stratified belief bases by negotiation. We introduce the concept of mapping solution, which maps the preferences of agents into layers, as a vehicle to represent the belief states of agents and their attitudes towards the negotiation situations. The belief merging process in our model is divided into two stages: in the first stage, the agents’ stratified belief bases are maped to their preferences, and in the second stage a negotiation between the agents is carried out based on these preferences. 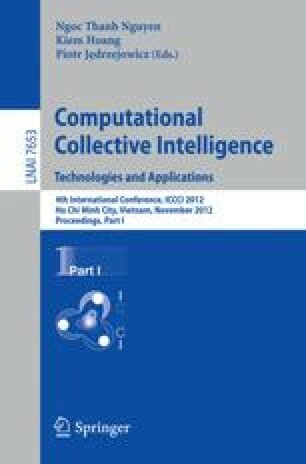 In this paper, a set of rational axioms for negotiation-based belief merging is proposed and a negotiation solution which satisfies the proposed axioms is introduced. Finally, the logical properties of a family of merging-by-negotiation operators are discussed.